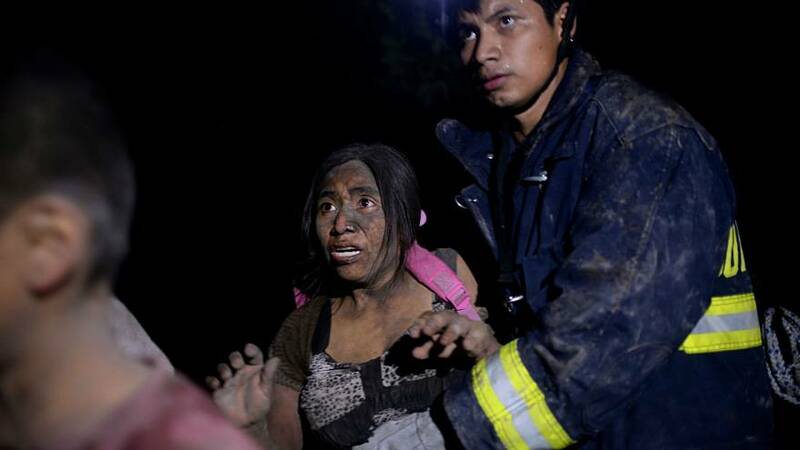 Search and rescue operations were still ongoing in Guatemala on Monday after 62 people were killed when the Fuego volcano erupted. Some 300 people were also injured in the volcano’s most violent eruption in over four decades. Volcan de Fuego, whose name means "Volcano of Fire", spewed an 8-kilometre stream of rocks, ashes and hot gas on Sunday that rained onto the capital and other regions. The deadly river spilt into El Rodeo village, destroying houses and burning people inside, according to the National Disaster Management Agency (Conred). In a statement released early on Monday, authorities said that five to seven strong explosions have been recorded every hour since the eruption, with ash dispersing 15 kms away. “Due to the pyroclastic materials deposited in the ravines there is a rise of fine ash, which disperses towards the southwest, west, northwest and north, which causes the communities in these directions to be affected by this ash,” the statement said. The disaster agency also estimated that 2 million people were affected by the explosion. "We think that there could be a state of devastation in at least three areas," said President Jimmy Morales.